Re-wind to 1982: a wet-behind-the-ears Yank climbs off a flight, Irish wife and new born daughter in tow. His first impressions are positive: 'Hey, it's raining, but it sure is pretty. This shouldn't be too hard,' he thinks to himself. Then a torrent of rain smacked him in the face, as if God was telling the poor slob that nothing in Ireland is ever easy. And, folks, God was right. Getting a job back in the '80s was hard. I was out of work for six months. Mind you, the Ireland of the early '80s was in recession. Unemployment was high - almost 20 percent as I remember. Long queues of people stood miserably outside the local dole office (unemployment office, for those of you with a US persuasion) waiting for their unemployment cheques. The world of Irish unemployment was bleak indeed, and the last thing it needed was an unemployed Yank to add to its troubles. But...and here's the good part...six months after I got off the plane I had a job (okay, it offered subsistence level pay, but what the heck. It was work!) Two years later, I had a better job (working for Hyster, the forklift company, on a new government backed project that they started here. I was still paid miserably - just slightly better - but it was a start on the Irish corporate ladder! Unfortunately, a few years later, they suddenly pulled the plug. I - as well as many others - were once again unemployed). And following that, I actually sucked it in and started my own business! Twenty seven years later, I'm still working for myself. And I never thought that I had it in me. Honest. So. What do you do if, like me, you're a somewhat wet-behind-the-ears American who is determined to live - and work - in Ireland. Here are some suggestions. If you're not an Irish national or EU citizen, qualifying to get a job in Ireland can be tricky. You need to have a skill that is not (technically) found in the country. You need to have a Work Permit and a Visa. It's a technical area. Click here for more information on Irish Work Permits. It's a whole area fraught with difficulties and new legislation (including a new Green Card scheme), but the bottom line is this: you need to have a prospective employer offer you a job before you can get a job. The Employer must help you to organise your Permit. That company also has the responsibility of paying the fee for that Permit. So aren't you the lucky one? First you have to have a skill that is in high demand in this country. Then you have to find an employer who loves you enough to fork out good money for a work permit. But that's the way it's done here, so start looking! Ireland has many fine job-related Internet sites. Google 'finding a job in Ireland', and you'll invariably pull up some good ones. Do please sort of ignore www.fas.ie, however. This is a training and job support organisation for Irish (and EU) citizens. If you're not, you don't qualify. Some of the good sites include Irish Jobs.ie, My Jobs.ie, and Monster.ie. However, there are many more, so spend some time and do your research. But don't forget about the major national newspapers (many of whom have online editions - just Google them!) That list includes The Irish Times, The Irish Independent, The Irish edition of the London Sunday Times, The Examiner, The Sunday Post, and The Herald, to name a few. If you're not getting anywhere on the Internet or in the papers, and assuming that - like me - you've come over on a wing and a prayer with the hopes of getting employment, then try this: Network! Ireland is a nation of talkers. People here like helping others (assuming, that is, that you're a likable sort). Therefore, when you meet someone new, don't be shy. Tell them what you're trying to do. That you're looking for a job in your chosen field. Ask them to help. Ask them who they know that might know someone who might know somebody else that has a job opening. Take their name and phone number (and make sure you buy a mobile phone - a Cell Phone - to make certain they can contact you!) Give it a few days and ring them back. Gently pester them with your enthusiasm and professionalism. Given enough time, you too could land that Irish job. Just look at me! When I came here I didn't know a soul. But I networked (and I must admit that I was never any good at it). One guy new another guy who knew a fellow, that knew an Uncle, who knew his first cousin. And that fellow knew about a small company in County Meath that needed the inexperience and brash enthusiasm of this newly-arrive Yank. Remember, Ireland is populated by only 4 million souls or so. In some ways, it's a village. And for that reason, everyone knows someone else. So keep networking! Ireland is a country of shopkeepers and business people. Like their US cousins, Irish people love to own and manage their own businesses, and the country's economy is driven by small and mid-sized enterprises. So if you want a challenge, now's your chance! Back in the '80s, I never ever thought that I'd own my own small business. Yet here I am. Yep, just like every other place in the world, Ireland is in recession. What's more, and based on what I've been reading, it seems that the recession here will be longer and deeper than elsewhere. That said, take heart! People here are still buying things; the economy is still turning over. To beat this, you just have to be dogged, persevere, and keep focused on your goal. If you want employment hard enough, you'll get it. Just keep trying! Great blog! I too think of moving to Ireland. Great-grandmothers on each side emigrated from Ireland. However, I miss the ancestory citizenship by one generation, but we still keep in contact and visit with family in Strabane every couple years. I do have a general question...I'm in my last year of law school in California, any insight on American lawyers finding jobs in Ireland? Anyway, thanks for the blog and keep up the good work. I wish I had found your blog about a year earlier! Great insight, advice, etc. I found your recent posting on expatechange.com. I am one of the lucky ones. I became an Irish citizen last May thanks to my Irish-born grandmother. I have been to Ireland a few times now, including a month-long stint a couple years ago. I have had a desire to move there for a while, and have done a lot of researching. Recently married in March, my wife and I spent over a week in Ireland (rented a car and just drove... everywhere) as our last stop on a great honeymoon to see if living there was something we might want to do to start off our married life. As luck had it, we met a young couple (mid-20's) like ourselves who had just moved to Dublin from Phoenix, where we live currently. Long story short, we befriended them, went out for drinks and conversation, and enjoyed some good craic. We explained our desire to move to Ireland. We have kept in contact since returning to AZ, met up with them on their recent vacation back here, and passed along our resumes/CVs to see if they were able to assist us in our efforts to find employment. They recently advised us that there were a couple positions opening up at the company where he is the manager. He offered us each a position, and gave us a deadline of August 1st to be out there and ready to work. Sounds like something out of a movie, eh? Anyhow, we are packing our belongings, and are gearing up for what is going to be the biggest adventure of our lives thus far. We (mainly me) are pretty familiar w/ the cultural differences. I like to consider myself an adaptable fellow (you kind of have to be in this sort of situation). My question is this... what sort of advice would you offer someone like me, as far as what to bring, what not to bring, etc. We will be renting a furnished place, so we are planning on packing very minimally. I have been informed that my wife shouldn't have any issues working since she is married to an Irish citizen. Do you know any info on this? I know we have to provide proof etc to get her a visa, but any addtl info would be helpful, as well as any other tidbits of info you might find useful. Your site is a wonderful source for having an unlimited job data. Actually such job data are very useful for us to get global job data instantly with minimum efforts. 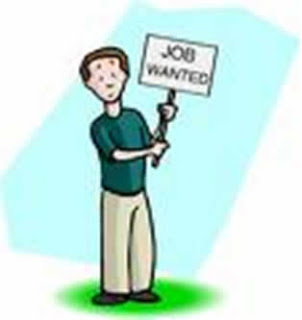 Todays online job posting sites are playing a vital role in reducing unemployment rate. You may be glad to know that a new service named as Sromobazar.com have been recently introduced in Bangladesh to enrich the overseas education and job services. This site is also very important because here international job seekers can get their desired job by job bidding procedure. I’m enjoying all of these sites. I am currently living in the USA and want to move to Dublin. I know you need to have a work permit from a perspective employer before moving. I have been applying for jobs like mad, and contacted many recruiters. It seems some of the recruiters do not realize that the hiring company needs to obtain the work permit, as some recruiters were telling me to go and get my work permit first. Quite confusing to say the least. I can't wait to live and work in such a beautiful country. My Aunt's family is there, but I am not Irish. Does anyone know of a company that is hiring, etc.? Any resources to share? I've gone to Monster.ie, Irishjobs, and many others. I am a meeting and event planner, and I also posses purchasing/buyer skills. Last year I completed the Medical Assitant program here in the states, so a job in healthcare would be good too (like a patient care associate, medical office, etc.). I hope I can start my work journey in Ireland soon! Morning Kristin. Unfortunately, you have chosen one of the most daunting periods in Irish economic history to attempt to make this transition. We've huge unemployment right now, a national election looming, and a Banking crisis and deficit that's much worse than the US. All I can suggest is - healthcare: you may have some luck here, though it looks like the health service (Google HSE Ireland for more info) will be laying off any number of staff. That said, it's worth a try. Visiting: you'd better luck if you used your Aunt and her contacts. Best to climb on a plane, come over, and start networking. That's how I did it - and it works! Thanks for your post. I will certainly google HSE Ireland and get information. I know the economy is bad everywhere and I do hope it gets better very soon. I probably will call my Aunt to see what she can do. As much as I hate being an inconvenience, they might be willing to help. I also have a friend in Ireland that I miss very much, so that's been difficult too. With the recruiters I've spoken to in the last couple of days, some told me it would be very difficult to obtain the work permit, and that it might be better to contact companies directly as they might be willing to hire and obtain the working permit based on my credentials. Most recruiters have clients that require a work permit first before even sending the individual on the job interview. I've heard both sides of this, and I just keep going down my list. I also spoke with a career advisor that said it is difficult, but not to give up because something can break and that it may just take some time. Should I visit for a few weeks and just make appointments with recruiting agencies? Networking is hard when I don't know that many people in Ireland. At this point, I'd mop the floor as a job just to work and live in Ireland. I'm open to learning a new trade too. hi mr.tom nice blog you have there. can i trouble you for a question? me and my father are moving to dublin in the end of march. what is the situacion right now? there is no info on 2011 work permits for bulgarians. it seems that whoever i call no one knows that i even NEED a work permit. seems like i can just go and work? im really coming to start a nice life around nice people but those work permits are just impossible and it forces me to be illegal, when i want to be legal. Hi Kiril. Bulgaria joined the EU in 1997. Citizens in the EU are allowed to work in ANY other EU country WITHOUT a work permit. That is - we're all citizens of one giant Europe, and as such we've the right to work where we choose. wow that is just awesome i will jump through the roof if its true, but excuse me but are you sure? the last article for may 2009 stated that ireland still want bulgarians and romanians to have a work permit. i mean there was no news after that whatsoever and were february 2011 right now, i guess it was a conspiracy to keep it secret. god bless you wish should have a coffee when i come. This is a great article! I am absolutely, positively, in love with Ireland! I recently spent about a month in Ireland and had the time of my life. Wonderful and beautiful country. Well, I don't have a skill per se. I know Ireland is in an economic mess at the moment. I read that they take limited amt of unskilled workers, if that, but I was trying to figure out if I qualify under home care. I fear that I don't because it might be under the domestic job title, but a home care agency for the elderly and disabled told me if I decided to come to Ireland, they would interview me and they love that I have personal experience in the area. I feel pretty good about it. But, I am nervous that I don't qualify under Ireland work permit laws. Is there any way that I would or is there any way I could get around this if I don't? My dream is to live in Ireland and I pray that my dream isn't deflated. Can you give me insight and any words of wisdom? Thank you! Me again! I just posted about home care in Ireland above here. I wanted to add that I am from the states if that is needed info. Tom, I am recently out of the Marine Corps and going to school in Washington State for a BS in environmental conservation. In particular forest management. It will be another 3 to 4 years before I receive my degree. My wife and I would really like to move to Ireland after this. I thought if fitting because Washington and Ireland have many similarities. Do you have any ideas for jobs in this area. Keep in mind I have plenty of time to broaden my degree. Hi Tom, Great blog. Sorry to bother you... do you have any idea on the irish job market for IT professionals at the moment? I am an asian planning to visit ireland for a month or two to hunt for jobs. I have 6 years experience in IT industry. Do you think it would work at this time? Thanks for your time. So Tom...... After reading the many questions and responses on this page it sounds like the best way to get work in Ireland right now is to start networking so i'll start with you! I read on here that you own your own business. Are you hiring??? I am currently a Proud United States Marine with loads of management experience including the retail industry. I have held a management position for the last 10 yrs and am also skilled in painting, construction, and am also a bit of a musician if that makes any difference. Yes I can entertain as well!!! I have a great work ethic and I am also a very likeable guy. To be perfectly honest with you Tom, I'm falling madly in love with a beautiful Irish gal from Sligo and am willing to do what it takes to get us closer together. I really found reading your blog very helpful in getting me started on this journey, and I would appreciate any advice you have to give to point me in the right direction. I am an Indian citizen with MBA (Finance) and over years of work experiance in product control-Finance in an MNC bank. I am keen to work in Ireland. Would there be any job for me and how can I approach any employer in Ireland. did you find the job that you were looking for? I am an American looking for a job in Ireland as well. I am a scientist doing vaccine research and have 11 years experince, but do not have a PhD. At times I feel it is impossible to find a job there! I met my Irish boyfriend on a trip to Costa Rica over a year ago and we have been dating long distance for a year now. We have been alternating 3 day weekend trips every month for a year now and would love to be together living in the same country! Do you have any advice for finding a job in the science field? My boyfriend works in business for a pharmaceutical company in Dublin and had been spreading my CV around and my other friend in Dublin's father is a recruiter for pharma companies, but I still can't seem to find anything. It so sad that any European in the EU can get a job so easily, but an educated American can't! Really valuable insight. I am also looking for jobs in Dublin. I am qualified ACCA & CISA. I guess you are right 'networking' is the best way to get the info and other's people experiences. I recommend using Linkedin to get in touch with people who have similar work experience like you. Also search for Recruiters & HR people on Linkin as well. I have just started doing it, let see how it goes. Please let me know, if you have anymore suggestion for someone like me. Hello. Great to stumble on this website as I like others have been trawling through job websites with no luck . I am from the uk so thought being part of the EU it would help as well as having a health care degree. But it is so difficult especially as they have there own system such as Grada ( criminal bureau record check for the uk) and other things which are dauntiing. I feel i need to have secured a job before moving... but it is so hard! Hi there! I also just stumbled upon this site and can't wait to look through it more. My husband, child and I are looking to move there in the next few years and could use whatever advice you have to give. We are both American Citizens, and can't wait to relocate. Thanks so much! I am a recent college graduate with two bachelor degrees. I am single, with no kids, and was thinking if ever there was a time to live my dream, it is now! Your blog really helps me, thank you very much!! I am currently in school for my LPN and will be starting schooling for my RN while working as a LPN. I know nursing is needed pretty much everywhere in the civilized world. My real question to you is this, I am married Irish(non citizen) Catholic, with 6 children 11 and under, is it to much of a "pipe dream" for us to in the next year or two, for me to find work as an Registered Nurse and be able to relocate my family to Ireland? Sadly my grandmother was working on her Irish Citizenship( her mother was born in Ireland) but she has over the past few year been really stuck hard with Alzheimer and Dementia, so I would really need to get a Work Permit based on my medical skills when the time comes. Any insight on our Goals? If a large family of moderate income should even bother trying to do this. Also do you know of any program or way(besides going to Ireland and meeting a family) that we could house swap for any period of time with a Family in Ireland for our home in Upstate NY? I liked your article, it was very informative for me. I am checking for jobs on irishjobs.ie and I am getting a small number of openings available for my area (Community Care Support Worker). I know the hardest bit is going to be convincing the employer to hire me and pay for my employment papers, but I am also worried about where I would be staying. The only ones I am really seeing are in Dublin, and isn't that the most expensive place to stay? I want to live in Ireland and finish my schooling to become a Psychologist (or, looking at my FAS career judging test, Midwife) but I know absolutely no one. I am fairly young, I have yet to reach the higher age of majority in the United States, but I think I can make this move work for me. Any tips on where to live - I plan on getting a bicycle or taking public transportation. Awesome article! I am planning a trip in February, and I am already going to apply for jobs this week, I figure maybe I can get an interview lined up for when I am there. I too am a Yank, and I have a degree in marketing and international business. Think I have a chance? hey!!.. I am an Engineer(Bachelors in Information Technology).. and am planning to come to ireland for my Masters on the pretext that there are ample amount of job opportunities there.. So is it true??.. is it a risk worth taking..? Hi..I am a mechanical engineer with 5 years or work exp in India. I am planning to do masters in Ireland in the field of Mechanical Engineerig or Business management. Please let me know the current scenario for an experienced Non EU national after graduating from an Irish university. Well I'd say you're in luck, Anonymous. Tech is one of the few industries (as well as agriculture and food) that is holding up during this wicked recession. Techies are in huge demand here right now. The likes of Microsoft, Yahoo, LinkedIn (who have just opened a European HQ here), Google, and so many more are actively looking for staff. So as you see above, and when you get settled, the secret is to network! Assuming that you're a non-EU national, it will be a bit of a climb because EU nationals have first preference. But if you work hard, meet people, and follow-up any leads you might hear about, you too might be able to Survive in Ireland! Thank you so much for this post about getting a job in Ireland. I studied abroad at NUI Maynooth the fall semester of 2012 and, now that I have my BA in English and teaching license, I've been trying to get back. I've been saving my money (I have quite a chunk saved), keeping up with friends I made there (some of them need roommates! ), and subtly hinting that I'm planning on going back to my family (I currently live with my gramma). However, the last step is a job! Do you have any suggestions for someone like me? I have almost all my ducks in a line, just no job. How long would I be able to stay and job hunt before I was booted? You have got a very good article here and thanks for your insights. I am an Indian and got a professional degree in Computer Science Engineering and am currently into the Software Testing stream. I have been considering working overseas for some time now and after much googling and browsing found Ireland to be a great option. But as any one here the difficulty is getting a job first inorder to apply for a work permit. I have been trying hard but could get a positive response from any of the recruiters as all are asking for work permit first :( It would be of great help if you could give some advice on how to land an interview? Any info on direct recruiting employers also will do.. Need to get a job first as considering migration without a job is quite risky .. Any help is appreciated..
Notr: Sorry if the post is in the name of Anonymous as I was not able to post with my google account, throwing an error there..
Hi and good hearing from you. What you mention about is the chicken and egg problem that all of us have: you need that job offer before you can apply for a work permit. In my case I had to come over here without a job to do just that. (Complete disclosure: I was married to an Irish woman so at the time, I had the right to work in this country). I'm afraid, Anonymous, that you're facing a hard choice. It's unlikely that anyone is going to hire you sight unseen (although I do know in one case where that has happened). The only recourse, perhaps, is to come over on a long visit: that is, first apply to a number of jobs. Then work the phones (using a low cost carrier such as Skype). Get an interview or two. Then climb on a plane and land that job offer with the promise of a work permit. And only then move over full time. It's a tough choice, I'm afraid, but I don't know any way around it. Has anyone applied for an received a green card? Was it easy to find work? Was the visa process quick and easy? I'm from the USA and got my BSc in the UK and worked in IT in the UK. I've since moved back to the states in NYC working in IT; however, I want to get back to Europe and I see Ireland is looking for IT professionals. Is it really hard to find a job from outside of Ireland? Is it even possible? I mainly work in tech support which I'm not sure even qualifies. Hi Tom....I am an ACCA Professional and looking forward to do MBA in Finance form Trinity Business school. I wold like to know how is the job market in Ireland post MBA. I understand that the Irish Economy was in a middle of recession but i would still like to know how are the job prospects in the Finance industry. G'day Anonymous and good hearing from you. Lez see, how to help? First: an MBA does not guarantee success. I also have one of those hanging on a wall collecting dust at this point (UCLA Anderson School of Management 1980) and while it helped I can't say that of itself it guaranteed success. I am a great believer in continuing education (a graduate degree is something that no one can ever take from you) but in Ireland, energy, focus, commitment, and personal drive would seem to be as important as any degree. As to the job market: in general, the economy is coming back big time. If you believe the press and the politicians (I take both with a grain of salt) Ireland is now the fastest growing economy in the EU. New jobs are being created daily. And Finance will play an important role in that growth. I only just today found your blog and find it insightful. I have 9 years of IT experience ranging from desktop support to IT security working for such places as NASA/Lockheed Martin and Underwriters Laboratores, a.k.a. UL. I am fixing to start my masters degree in Information Technology with Concentration in CyberSecurity. As well as obtain some certification in Security also. Having just inherited from my mothers estate - I was thinking of taking a year off while studying and was wanting to live in Ireland during that time to get a feel for it and network. I have plenty of money to do so now (I was focusing on areas outside of the greater dublin area since cost of living is less expensive). I know that I can stay for up to 90 days but I can find no information that guides me to being able to stay past that. I know that technology is a big area in Ireland and like here in the U.S. can't find enough people to fill the positions, so I am guessing that my skills would be valuable, but that is only after I have experienced it for a year and worked on my masters. I am going to purchase your publication but not sure how it addresses this particular scenario in detail as I can't find much on the internet. What do you suggest or recommend? Any and all help and suggestions would be most appreciated. Good morning Shawnda and let's see, how might I help? First, you'll be subject to the same restrictions re: finding a full time job as any non-EU person. This means that you'll need a work permit to stay here longer than the 90 days and try to find work. This blog contains some info regarding the work permit area - you might trawl thru it when you have a chance. But yes: your Tech background and experience should prove of interest to potential employers. Seems that every day yet another tech company is announcing the creation of jobs. So prospective employers should be interested. Hi Tom. Hope this is not weird. I would also like to come to Ireland to be with someone but thing is im single and I would really love to marry an Irish. Please if you know anyone looking for a wife could you please introduce me. I didn't know ant other way to do this please don't judge me. Well! It's the first time I've been asked to play matchmaker. And as the Good Book says: who am I to judge? That said, I'm not sure what to say Anonymous. My response has to be a bit tongue in cheek: have you ever heard of Lisdoonvarna? It's a small town that runs what are supposed to be the biggest matchmaking festivals in Europe. Go to http://matchmakerireland.com/ to find out more. Good luck! Thank you so much. You such a spot and great book by the way made me want to move to Ireland as soon as I had bought it. It's nice to see your blog it's very informative for me. I'm an asian who got an offer for master in management consulting in UCD. I graduate in accounting and had a one year working experience in one of the big 4. Is it hard to find a professional job in Ireland especially in business or finance industry? Good morning Anonymous and good hearing from you. Masters from UCD, huh? That's wonderful and good for you! Do you plan on accepting? With regard to your query: as of this moment, there doesn't seem to be enough 'professionals' to go around. Try Googling any of the accounting firms in Ireland (I Googled 'list of accounting firms in Ireland' and came up with a bunch!) You'll see that most of them are hiring. My memory is fuzzy but I also seem to remember that only recently a number of the Big 4 (used to be Big 6 in my day! How times change...) announced on the news some major hires. Im actually looking for a job in Ireland as a teacher, what will be the best and reliable website to visit? Just wondering if you know how hard it is to get a visa for work in Entertainment or events. I work in movies and tv now but am looking for work in corporate events. Project Mangaer/ production manager. Do you have any idea? Thank you. 1) Is it easy to get job by visiting and searching or by networking from hope country getting interviews ? 3) Is it easy to get Residence permit and what are the procedures? 1) no it is not easy to get a job here. You have to really work at it. 3) No it is not easy to get Residency. I've answered this question at length on various posts within this blog. Please have a look. The questions you pose are rather simplistic I'm afraid. Ireland is still emerging from recession. It is highly competitive. It takes a great deal of commitment and focus to land that all important job. Non-EU citizens are at a disadvantage. While it's not impossible to get a position here, you'll need to carefully think through your strategy. any chance my toddler and I could go to ireland and I go to college to become a nurse and get a job as one once I'm fone with school. Hi - and apologies but I've no idea at all re: the status of children / dependants. Best thing you can do is Google "ireland citizens advice". The answer will undoubtedly be on there somewhere! Good luck! I am an American teacher with a Master's degree and I would like to teach in Ireland. I teach high school English and can teach special education along with social sciences. I also have a CELTA certificate. How do I get a job? It seems you have to have a Work Visa to get a job and to get a Visa you have to have a job. Help! Thanks for all great blog. Can you please tell job opportunities after masters in computer science with specialization in data science from universities like UCD? How likely is it for international students to land with a job offer if graduated in data science stream? Thanks for sharing, this is perfect for me because I am trying to find more sources to get inspired. I also found some jobs in Ireland. In short, great blog. I'm thinking of moving to Eire as I have family in both Kerry and Dublin. My question though is: should I wait until I have a job in Ireland before moving over as I am getting cheesed off with working and living in the U.K.
Hey sweet. You don't say if you're a UK citizen or other. If a UK citizen: Until Brexit is finalised you continue to be an EU national. Which means - you're entitled to work here. So getting a job prior to moving to Ireland isn't required to obtain a visa. I"m amazed at your consistency in answering these questions over the years. Thumbs up!!! I intend to move to Ireland with my wife who is Engish. I am a non-EU national. My question is will EU laws on freedom of movement continue to apply months after "Brexit" until new arrangements are finalised between the EU and Britain? Is it worth taking the risk moving to Ireland now seeing that Article 50 will be triggered in March 2017? I am asian and got offer from UCC for post grad in finance. I wish to get job in Ireland after graduated. What do you think about ucc and its reputation to the employers in ireland? I intend to move to Ireland with my wife who is EU citizen and our 4 year old daughter. Both me and my daughter are non-EU nationals. My opportunity comes from working 20 years as mechanical designer and hoping to land a mechanical aptitude opportunity in Ireland. My wife's parents currently reside in Ireland (West Cork area)and they have encouraged us to move and start a new life there. Her father has told me that because of my wife it should be easier to get a job in Ireland but I guess my question is how difficult will it be for me to get a working permit to actually work in Ireland? I will be moving to Ireland on July 15th (13 days) and will be there for 1-year on a working holiday visa. Are there any tips you have for preparing myself for the job search in these next days before arrival? I would love to find a temp internship as this is my gap-year but am unsure if I can get something in my field. (I graduated with a business management and international business degree).